This is the circular route which takes you past most of the impressive historic buildings in Vienna. 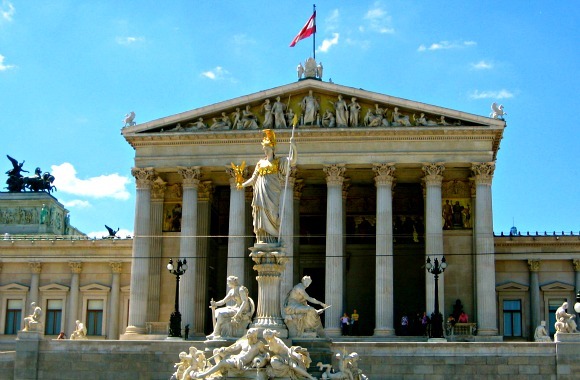 It’s around 4km long and spaciously planned out and along the way you’ll see the State Opera House, the Hofburg, the Austrian Parliament, Vienna City Hall (Rathaus) and the Musuem of Fine Arts. You can take the Ring tram if you don’t want to walk or do it in style with the many horse drawn carriages. 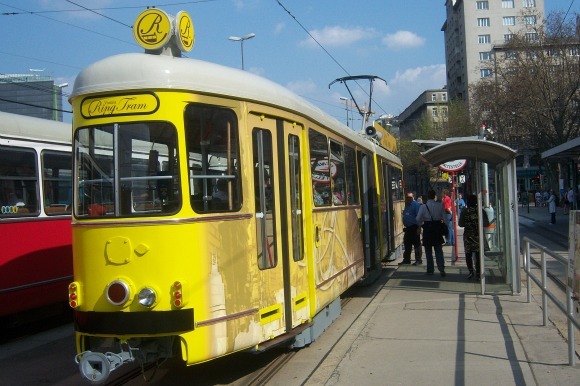 This is an extract from our free Vienna City Guide. The Ring Boulevard has several different names along its route, but all of them end with the word Ring. For example, at one point it is called Burgring which becomes Openring and then Schubertring etc. 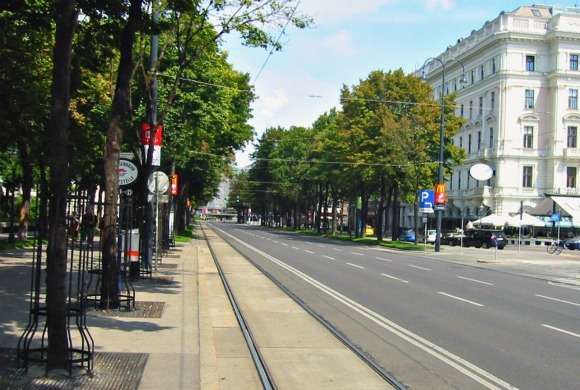 The road was initially built in the 1850s to replace the city walls, which had become of little purpose, with a wide boulevard to show off the sights of Vienna. The Ring Tram (pictured above) runs around the ring constantly from 10am to 6pm (7pm in the summer), so you never have to wait long to catch the next one. The full journey takes around 30 minutes and LCD screens advise you an what each building is along the way. Exact departure times are listed on each tram stop. Adult tickets cost 7 Euros (2012 prices), but a 24 hour ticket so you can hop on and off along the way maybe better value at 9 Euros.